nothing whatsoever: "He spake, and they came into being; He commanded, and they were created." 1 And the third glorious thing, hearken [to it]: "Through the breath of His mouth He created all their host." 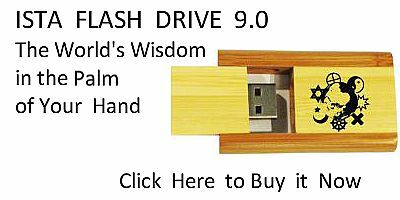 2 This maketh manifest the Holy Spirit, Who is clearly referred to. Plate XXVI. How the Jews crucified our Lord. Plate XXVI. How the Jews crucified our Lord. The Virgin Mary stands on His right and St. John on His left. Between the Virgin and the Cross stands Longinus, the soldier who pierced our Lord's side. 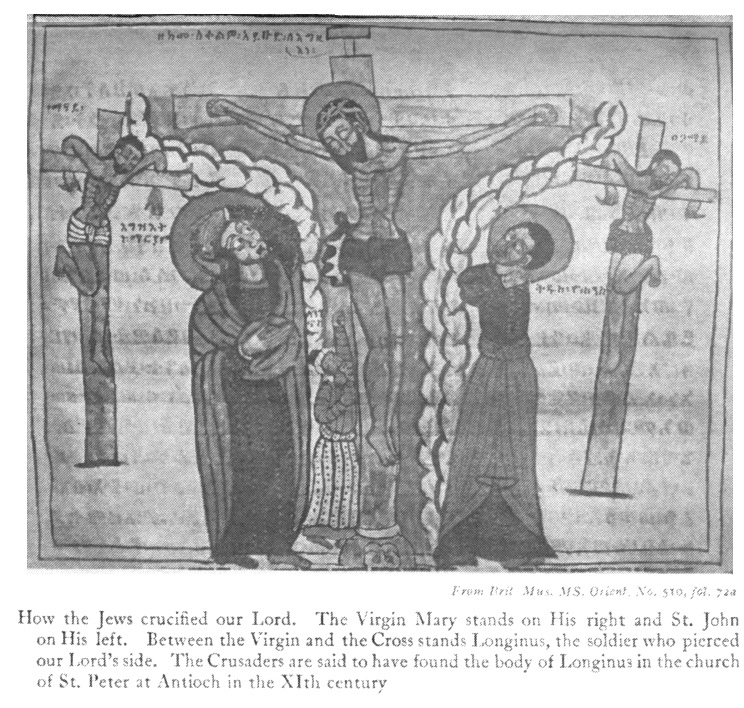 The Crusaders are said to have found the body of Longinus in the church of St. Peter at Antioch in the XIth Century. know not what they do." 1 They likened their Creator to something that had been created, and they slew a sojourner who did not belong to mortal creatures, and He was not a thing that had been made with the hand. But He Himself was the Maker, and He Himself was the Creator, Light of Light, God of God, Son of the Father, Jesus Christ. throne of the Most High, which is surrounded with fire, and four beasts bear it in their place, which is the sixth heaven. And a throne goeth up to the seventh heaven, the habitation of the Father, and there dwelleth He Who is with His Father and the Holy Spirit, Who vivifieth everything. And the Tabernacle of the Church is a similitude of the Jerusalem which is in the heavens, and the Church of the Gentiles is a similitude of the Jerusalem which is in the heavens. 191:3 John i, 1 ff. 191:6 John i, 1–3; 1 John i, 1. 193:2 Isaiah liii, 2 ff. 193:5 Compare Psalms xlv, 5; lviii, 7. 194:2 Deuteronomy xxxii, 21, 28. 194:3 Compare Acts vi, 3; vii, 34. 194:4 Acts vii, 53, 54.